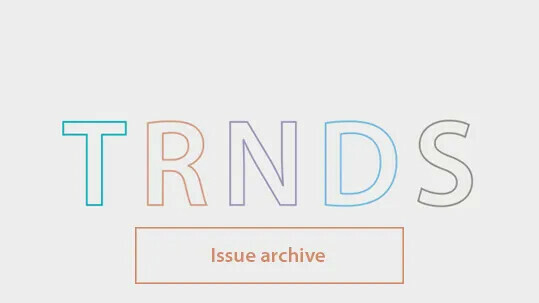 In the September edition of Maison et Objet the theme ‘comfort’ was embraced by the French trend forecaster Francois Bernard. In his introduction he describes comfort as a desire for rest and tranquility, to cocoon, to feel safe and to live a ‘good life’. At the same time there is the awareness that the feeling of comfort is subjective and represents for each of us something different. The Comfort I experienced when visiting the M&O was when enjoying beautiful and timeless designs. When captivated by an optical illusion of softness and enchanting depictions of Scandinavian wildlife. Comforting also was to realize that people care and pursue their ideal of honest socially responsible design. Or when discovering work of young designers who believe in the importance to lose ourselves in reveries. And last but not least it felt very comforting to read the statement of designers that dare to choose for a zero-compromise mentality when it comes to durability and aesthetics. 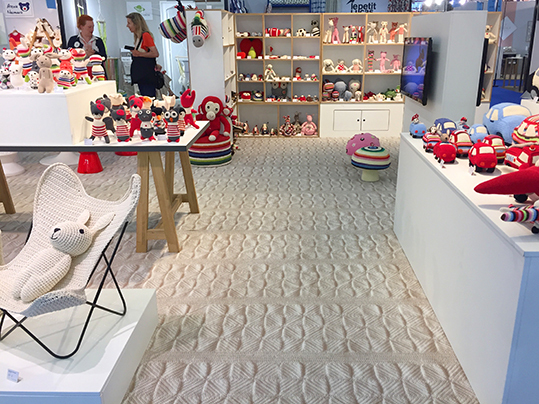 Anne Claire Petit, founder and owner of the brand Anne-Claire Petit Home and Accessories, designed a special pattern for her Forbo Flotex floor covering in the stand. A Beautiful presentation could be seen of Abing Wasara tableware. Made of 100% biodegradable molded bamboo, bagasse and reed pulp and meant for one-time use. Designed with an emphasis on texture and the touch. 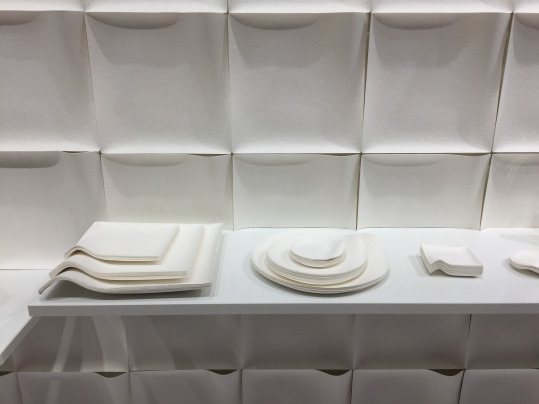 Panels of this delicately shaped pulp material were used to create a wonderful soft and ethereal context for the presentation of their new tableware products. With the new collection Bump, Tom Dixon presented captivating series of delicately minimalistic doubled walled drinking glasses. 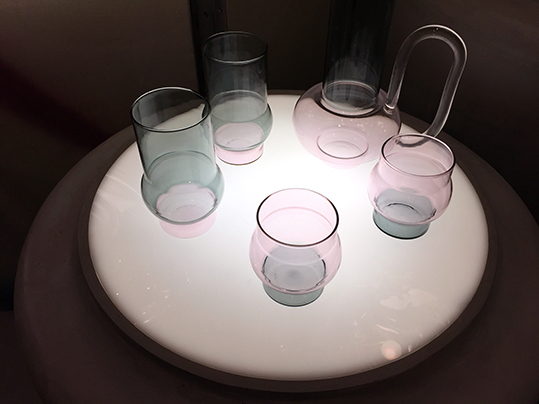 Inspired by laboratory apparatus with subtle levels of pink and grey tonal translucency. Architects Vincent Lim and Elaine Lu created a modular rug consisting of three modules. For inspiration they looked to traditional color wheels and overlapping circles and experimented with a range of color, textures and patterns reminiscent of marble and precious stones. Lim + Lu collaborated for this project with the Taiping Carpets company. The rugs were handcrafted in Tai Ping’s Xiamen artisan workshop. For this project Element, a modular triptych of carpets, the French brand Mapoésie collaborated with les ateliers Pinton. 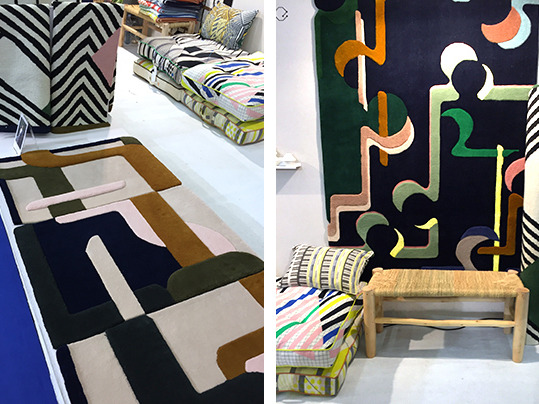 For this poetic and graphically strong series of carpet designs Elsa Poux, founder & designer of French brand Mapoesie, took the theme composing and decomposing of shapes as starting point. 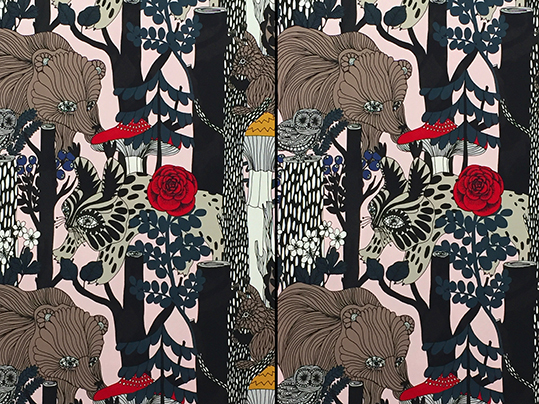 Marimekko’s Veljekset (Finnish for brothers) fabric features an enchanting pattern that depicts bears, bobcats, squirrels, woodpeckers and owls among dark trees. Inspired by Finnish folklore, Maija Louekari designed the forest motif to celebrate the centennial of Finland’s independence. 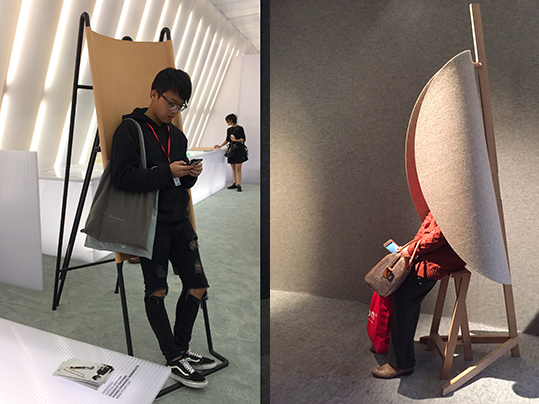 Iota presented an elegant and unique collection of innovative handmade interior textiles using different crochet techniques. Iota is a social project creating jobs for otherwise unemployed people worldwide by teaching them traditional textile/craft techniques. Thus combing a social responsibility with a way to secure the knowledge of traditional arts. Iota stands for “a bit” in Latin and refers to their ideology of: a little by little, from a single stitch to the final product, from the individual to the global. 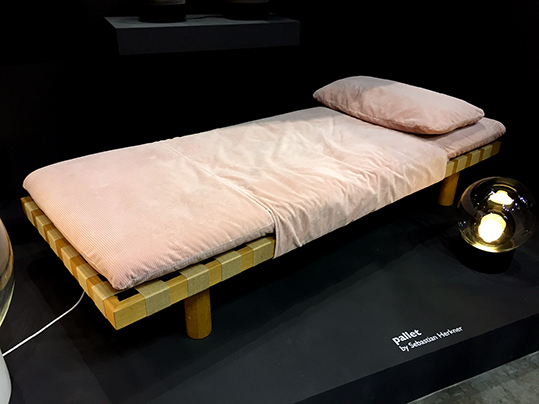 At the M&O the German designer Sebastian Herkner presented an updated version of his daybed Pallet, a design launched by the brand Pulpo in 2016. With Pallet the Sebastian Herkner is able to transforms a simple everyday object into a desirable contemporary yet timeless artifact. 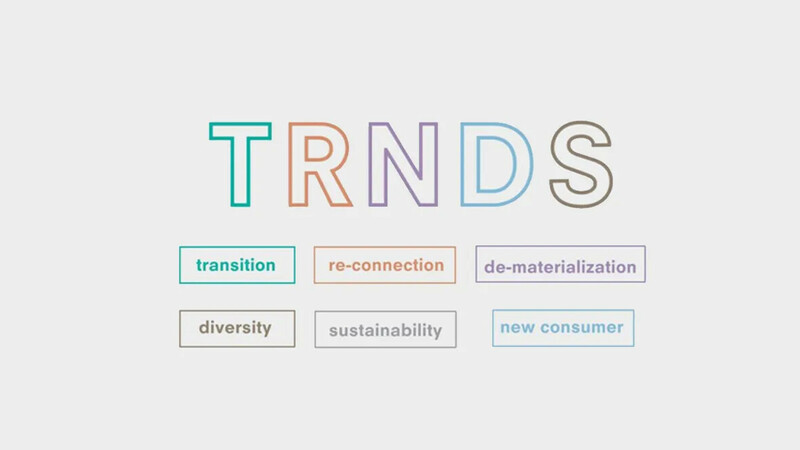 His idea of sustainability consists of employing traditional manufacturing techniques and their unique character. He then combines and interprets this by employing new technologies and finishing methods. With his surreal designs Belgian designer Pierre-Emmanuel Vandeputte plays with our habits and perceptions and invites us to live new experiences. Paradosso is a backrest for indoor spaces and a response to a society of action and rational thought. Paradosso invites the awake dreamer to take distance from reality. Nascondino an alcove with three an oblong cuts of natural felt. Its forward incline and closed form create a new space in which we can lose ourselves in reverie. 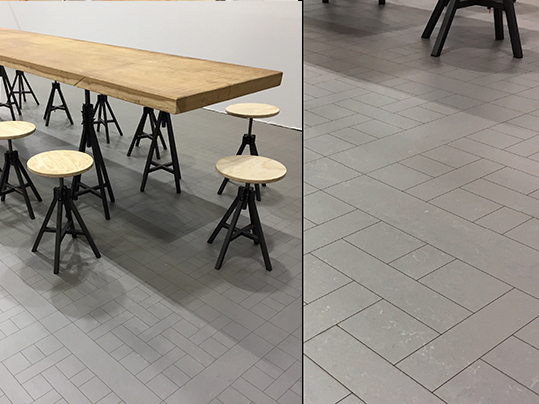 One of the central presentation squares in the fair showed an interesting flooring solution by installing a laser etched linoleum surface. The laser is an enlarged graphical translation of a flat weaving pattern. The boldness of the pattern seems to fit well with plain and minimal features of the table and stools. 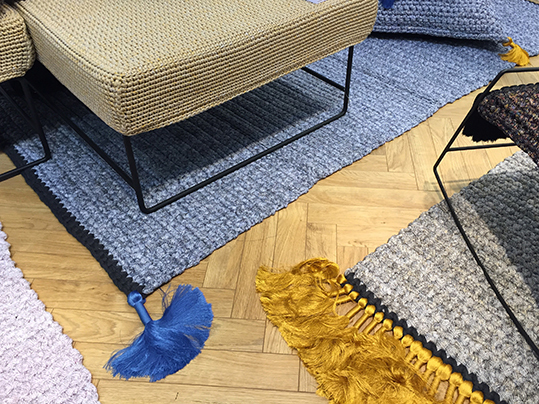 TheAlfredCollection presents hand woven minimalist carpets made by Belgian textile designers Marie Mees en Cathérine Biasino. The designer duo has a zero-compromise mentality when it comes to durability and aesthetics. They envision a minimalist aesthetic that resonates timelessness and not trendiness hyped colors are avoided. By offering highly durable and supremely sober carpets the collection honors the archetype of the carpet, pure in form and in function. 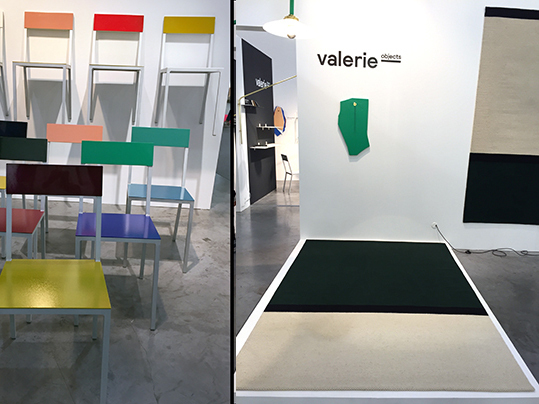 The colorful yet minimalistic chairs are designed by Belgian artist duo Muller van Severen. 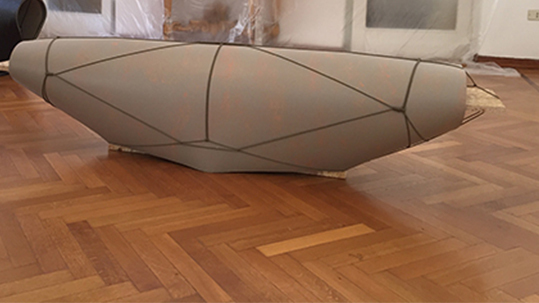 Muller van Severen are the first artists signed to Valerie_Objects. 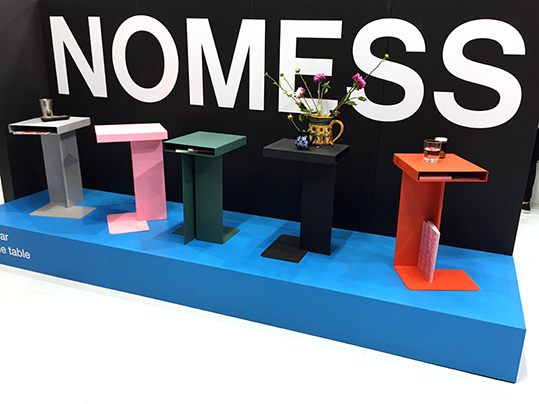 On its website the Danish brand Nomess preaches a desire for stylish simplification. Presenting multifunctional products as organizing solutions and as a response to the emerging need to create optimized and efficient spaces to work and live in. 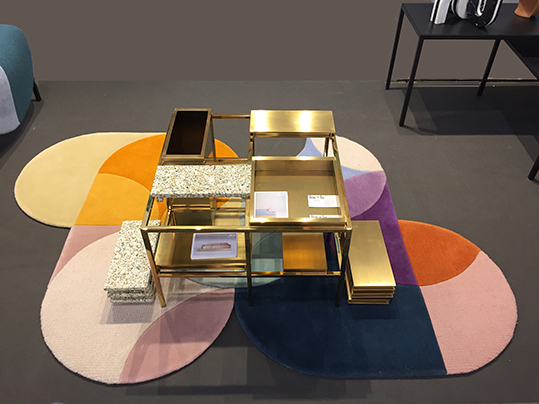 Radar, a side table, is presented as a platform for storage, a display or just as a decorative design statement.